Adding voice control to a car radio (DAB/FM/Internet) makes it easier to use, and safer to operate while driving, according to new research conducted in partnership by Digital Radio UK and Radioplayer. On average, drivers glanced away from the road twice to find a new station using voice control, compared to thirteen times when using a touchscreen radio alone, during a 30-minute on-road test. 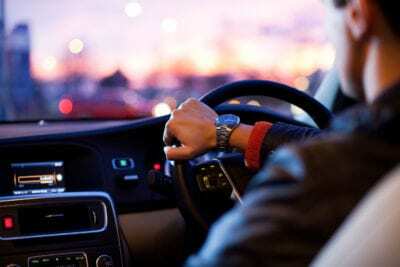 Radioplayer and Digital Radio UK, who are working together with the aim of ensuring radio’s place in the dashboards of the future, collaborated on the research to test the supposition that voice-control reduces driver distraction. A full report into the methodology and results, including video reaction from the participants, is available here. - When asked to tune to a station that was not already on the car’s presets, the average number of glances away from the road was dramatically higher when using the touchscreen (thirteen glances for the screen, versus two for voice control). - Drivers reported that using voice control feels safer than touchscreen controls when driving. - Drivers who had never used voice control before learned it quickly and reported that the car felt like a comfortable environment to speak in. - Most drivers felt they would explore more live radio and podcasts through voice, compared to their normal in-car listening habits. - Some stations, particularly local stations, felt harder to find than others through voice (on occasion the incorrect station was played when invoked via TuneIn). - Drivers were impressed with the Radioplayer ‘skill’, particularly its ability to recommend relevant local stations and play podcasts/catch-up programmes. The tests were conducted in a realistic driving situation, using a moving car, in an environment which provided serviceable roads with no other traffic. An Amazon Echo Dot was integrated into the car’s center console and wired into the media system, and internet connectivity was provided with a ‘mifi’ hotspot. Nine drivers, representing a range of ages, radio listening habits and prior experience of voice-control, were recruited. Each driver was asked to tune to a national station and a local station on the DAB radio screen, then tune to the same stations using voice control, and then explore more advanced radio features using voice control. There were two facilitators sitting in the car during the test, one asking questions and the other taking notes, and each driver was interviewed in-depth about their experiences after each test run. Towards the perfect car radio: The full methodology and findings of Radioplayer and Digital Radio UK’s joint research is available here.